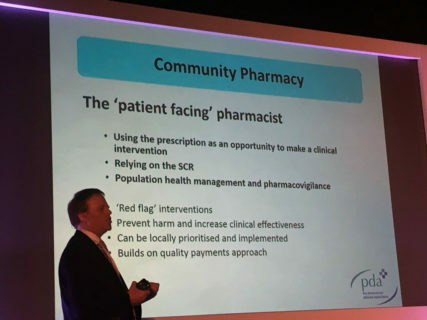 PDA Chairman Mark Koziol (pictured above) outlined the strategy in his presentation in the Keynote Theatre at the Clinical Pharmacy Congress. 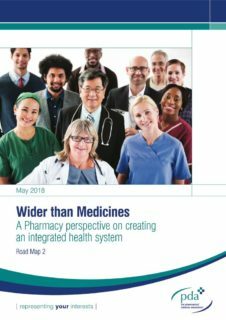 Wider than Medicines integrates the work of primary care pharmacists, GP practice-based pharmacists, group practice pharmacists, hospital pharmacists and community pharmacists. By taking charge of the medicines and pharmaceutical care agenda, it helps to secure the long-term health of the public as well as meet important NHS objectives. The patient journey is at its best when the various members of the healthcare team are able to focus upon their unique professional skills. In the case of GPs, this is diagnosing patients; for hospital staff this is providing specialist treatment, and for pharmacists, this is the safe and effective use of medicines and specifically in the provision of pharmaceutical care. This can only occur if it is done within a managed and coordinated framework. By focusing on interventions throughout the patient care journey, we can eliminate some of the silo working in the system. Through the creation of a community of practice we can ensure that pharmacists, doctors and others across all sectors can apply their unique skills collaboratively, so that they can achieve joint objectives in a much more efficient and joined up way. This proposal seeks to explore what contribution pharmacists as experts in medicines in particular can best make in this new joined up community of practice. 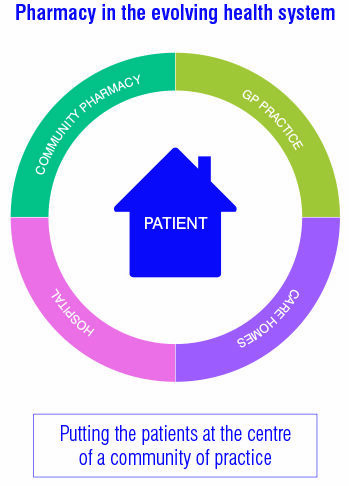 The document goes on to highlight the concept of ‘a group of practice pharmacists’ and the benefits this could have on an integrated health system. This Multi Pharmacy/Disciplinary Team approach would go some considerable way in breaking down the barriers between the sectors improving collaboration through greater understanding. Without doubt, the creation of a group practice would considerably underpin and secure the possibility of creating a community of practice. The skills contained in these group practices would be available to the local commissioners to provide the glue/resource that would keep the overall local service viable. It could provide additional backup, resilience and expertise to parts of the existing system that otherwise might struggle to provide the wide range of new pharmaceutical care services that would be required.